Two Pros, One Goal - To Improve YOUR Short Game! 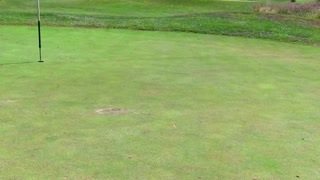 This video has helped my putting immensely. I was surprised how quickly I improved on the course after simply watching the video. In addition, the drills are excellent and the dialogue between an accomplished tour pro and top teaching professional is fun. I am really looking forward to more videos in the series. Jay Delsing has a wealth of knowledge and excellent understanding of the short game. 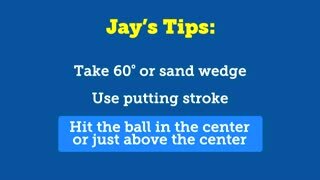 I have competed with Jay for several years on the Tour, and I know he has a ton of helpful information to offer those looking to improve their short game skills. Watch Maria explain and PGA Tour Veteran Jay Delsing demonstrate how to save par from 100 yards and in by learning how to get the ball out of the bunker when it lodges under the lip. Watch Maria explain and PGA Tour Veteran Jay Delsing demonstrate how to save strokes from 100 yards and in by learning this little greenside trick. Watch Maria explain and PGA Tour Veteran Jay Delsing demonstrate how to easily save strokes from 100 yards and in and learn how to hit the flop shot with confidence. Watch Maria explain and PGA Tour Veteran Jay Delsing demonstrate how to save par from 100 yards and in by properly executing a recovery shot from over the green. Watch Maria explain and PGA Tour Veteran Jay Delsing demonstrate how to save strokes from 100 yards and in with this simple little greenside shot. Watch Maria explain and PGA Tour Veteran Jay Delsing demonstrate how to save par from 100 yards and in by mastering the long pitch shot. Watch Maria explain and PGA Tour Veteran Jay Delsing demonstrate how save strokes from 100 yards and in and avoid 3 putts by mastering putts outside of 40 feet. 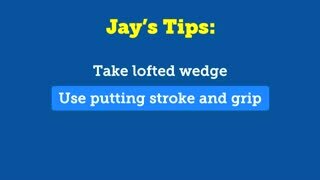 Watch Maria explain and PGA Tour Veteran Jay Delsing demonstrate how to save strokes from 100 yards and in and get out of this sticky situation without adding unnecessary strokes to your score. Watch Maria explain and PGA Tour Veteran Jay Delsing demonstrate how to save par from 100 yards and in by learning how simple a long greenside bunker shot can be.